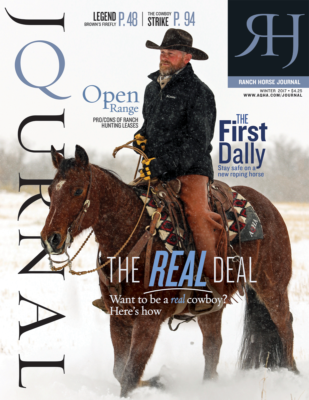 Matt Kelly & Wagonhound Land & Livestock home-bred Genuine Chic Pleaser (Chic Please x Miss Shiner Dear) featured on the Winter 2017 cover of Ranch Horse Journal. Cover photo taken during Wagonhound Land & Livestock colt starting program Winter 2016. Genuine Chic Pleaser is now owned by Bill and Yvette Stevenson.